Polk Freightliner opened its doors November 2014. As part of the Florida Truck Group, Polk Freightliner opened in the tradition of our other dealerships, a dedication to GREAT SERVICE. We're a company rooted in a commitment to provide GREAT SERVICE. 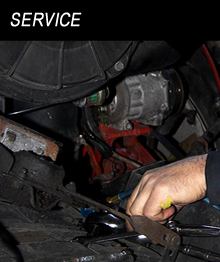 Our service department is ready to keep you on the road with our fully trained and certified technicians offering complete repair and maintenance on all types of your commercial equipment. Our Parts Department offers a complete inventory of the most common parts from all makes and models, so your down time is as limited as possible. Do you need a part delivered to your business? We have a team of dedicated delivery drivers that deliver all over Polk County multiple times a day. When you trust Polk Freightliner for your business truck and van needs, you're getting a team that's been hired and trained to the highest standards, dedicated to adding real value to your fleet. We look forward to being a part of your ongoing success! We know your business depends on getting the right parts you need, when you need them. When you are broken down, nothing else matters until your truck is fixed. 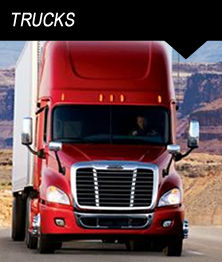 Here at Orlando Freightliner we realize your truck is your business. Sign up for timely news and deals.